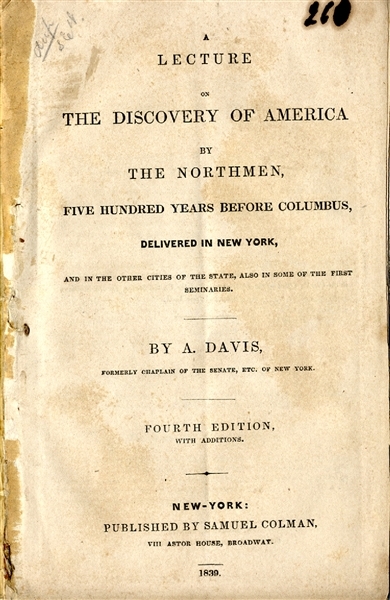 Booklet, 6” x 8”, “Lecture on The Discovery of America by the Northmen, Five Hundred Years before Columbus...”, by A. Davis, New York, 1839, 24pp., with separate cover. VG. Asserts the Scandinavians arrived circa 1000.